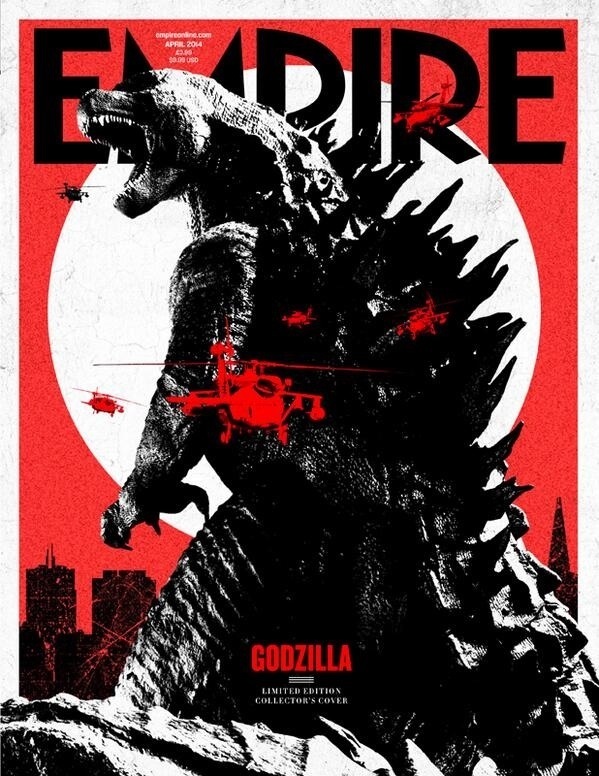 For those eagle-eyed viewers, you may have noticed other monsters (or kaiju as they’re called in Japanese) were featured in this Godzilla trailer, albeit very briefly. One scene shows a winged monster many claim to be the classic Japanese monster Rodan. And then there’s this huge talon/claw that many (including myself) have asserted as belonging to Gigan. 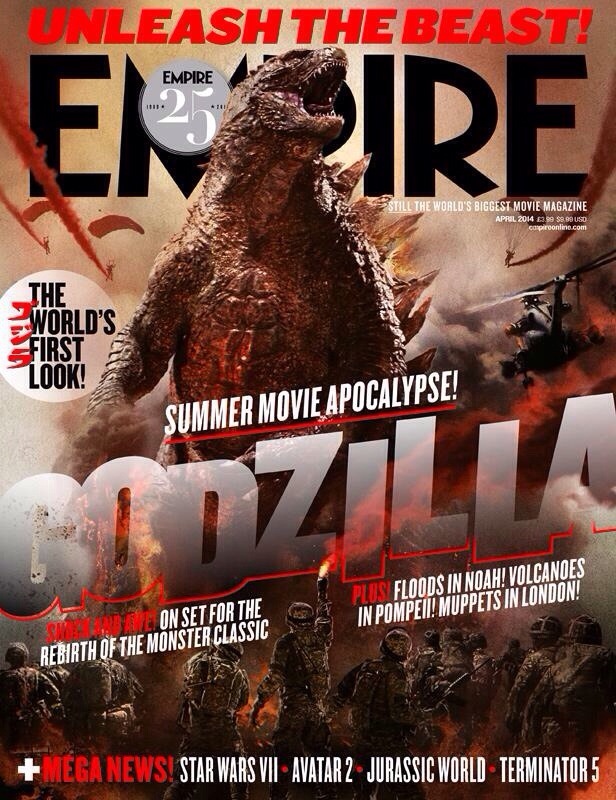 In other news, Empire Magazine has given us the best glimpse yet of the titular kaiju, Godzilla. A (much cooler in my opinion) alternate cover is set to be released for subscribers only. found the teaser trailer to be much better, Big-G’s roar isn’t mangled up by sound editing nonsense and no inception inspired fog horn tom foolery that has over saturated any event movie trailer. regardless of that though, can’t wait to see big-g on the big screen!